Do you ever wonder if your floors could be made out of an allergy-free, environmentally safe, natural material? Something that is warm in winter, yet cool & comfortable to walk on in summer? A practical flooring product that is gentler than tiles for high traffic areas & wet areas–that cushions the fall when a family member happens to drop a cup or a dish in the kitchen? Flooring that looks good, with a choice of natural contemporary shades & colours that is also durable & hardwearing? Carpet Options has the answer. CORK FLOOR. And it’s a corker of an idea! Take a fresh look at natural cork. Cork is a hard-wearing, durable floor covering & a whole new generation of people is rediscovering cork & falling in love with this versatile flooring all over again! This is due to the many benefits of cork that cannot be matched by other floors. Cork is currently back in vogue in a big way—being the creative choice of savvy interior designers for floors in prestige residences & commercial buildings. Cork is also perfect for residential use. You’ll find cork is a natural insulator, so it feels warm in winter & yet cool underfoot in summer. Cork is an ideal choice for just about any flooring solution in your home, fitting right in when used in your lounge room, rumpus room or bedrooms. Cork floors are also well suited to wet areas such as kitchens, bathrooms & laundry because spills simply wipe up so easily. A cork floor is resilient and most indentations will recover. Cork flooring provides a natural cushion for your feet & is very comfortable to stand on. Try it for yourself. Come in, take off your shoes & stand on a cork tile at Carpet Options store in Nambour. Feel the difference! 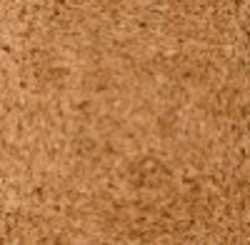 Cork is fire-resistant, as well as a flame inhibitor; it will not spread fire. It is both a thermal & a sound insulator as cork particles are filled with air, retaining a warm feel & reducing noise (great for the space where teenagers hang out in your home!). Because of the uniform shape & thickness, cork tiles are easy to lay. Cork flooring is an ecologically sustainable material obtained from the bark of the tree, without damaging the tree itself. It is actually made from the unused cork left over from making corks for wine bottles! Cork is anti-microbial & strongly resistant to mould & mildew. Cork also happens to contain Suberin which is a natural insect repellent. This will even keep termites away! Is your carpet causing allergies for someone in your family? Replace it with cork & alleviate the suffering, giving your child or loved one a better quality of life in the comfort of their home. Did you know that the cork flooring installed over 100 years ago in the Library of Congress in Washington, DC, USA, is still going strong? 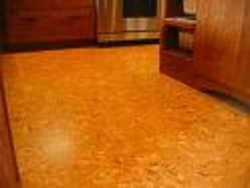 Cork was the flooring of choice used in many Frank Lloyd Wright designed homes. Cork has also been installed in high traffic areas to reduce noise levels in many public buildings & large popular spaces such as libraries, hotels, courthouses, churches, cinemas & universities. If well maintained, your cork floor will also last for decades & still look good!